Havilah Cunnington has been in full-time ministry for twenty years, and serves as a pastor at Bethel Church. Havilah and her husband, Ben, lead a nonprofit and an online platform called Truth to Table, reaching the world with Bible studies, messages, and lifestyle leadership tools. Havilah and Ben live in Redding, California, with their four sons: Judah, Hudson, Grayson, and Beckham. If you've been a believer for much time, you've been faced with this question at least once in your spiritual life. "Is the battle I'm facing from God, myself, or the Devil?" Depending on what side of the church tracks you live on, we can easily give credit to any one of them. I've heard the phrases, "God is trying to teach you a lesson" or "The devil is attacking you" in the very same community of believers. What about human choice? Don't we have a part to play in what we are experiencing? Our winning and losing in our everyday lives will depend on our understanding of the battle and with whom we are fighting. We won’t be dominant over the enemy until we see this life-or-death fight up close and personal. The enemy of our souls would love nothing more than for each of us to believe we are fighting for victory and not from victory. When Christ died on the cross in our place to pay the penalty of sin, the war was over. Spoiler alert: We Won! God has the whole world in His hands and has made a way for us to spend eternity with Him. So, why do we struggle? Because we still live on the earth. We have a real enemy, and as long as we are alive, we will have to deal with him. We have nothing to fear. If we are living our life in Christ, we will always be more powerful than anything that comes our way. But, the Bible is clear that we aren’t to be ignorant of our enemy. You may think of God and the Devil as equal and opposing figures fighting each other from two different sides, much like the cartoon image we have of a devil and an angel perched on someone’s shoulders. But we need to be clear: The story of God and the Devil isn’t one of two gods fighting each other. The Devil is an angel with a God complex. His power and authority are only in his possession because God has allowed him to continue for the time being. The only way to know if it's your enemy is to understand his exact characteristics. Your enemy’s whole purpose in life is to get you to believe a lie about God. It started in the Garden of Eden with Adam and Eve. His lies sound like, "God isn’t that good” or “God’s not telling you the whole truth.” The lies always go deeper, “God made a mistake when he made you" or "God's not going to help you." All grounded in lies about God. One of his greatest and most powerful lies always begins with your identity. It sounds like, “You can’t do it” or “ You don’t have what it takes.” His words are wrapped in fear, anxiety, and shame. Our enemy loves to accuse us. He's known as the accuser of the brethren (Revelations 12). Once we begin to live in spiritual confidence, he uses another lie. "Who do you think you are?" often trying to accuse us of pride and arrogance. He loves to use accusation to stop us in our tracks. An accusation is claiming someone is doing something wrong. Our enemy will never stop there. He will always go further hoping we believe the lie, “You are wrong” or “You were made wrong.” Accusations are dangerous because they will always distract us from our real purpose, which is to live in the abundant life Christ died to give us. The word steal in the Greek is the word klepto. 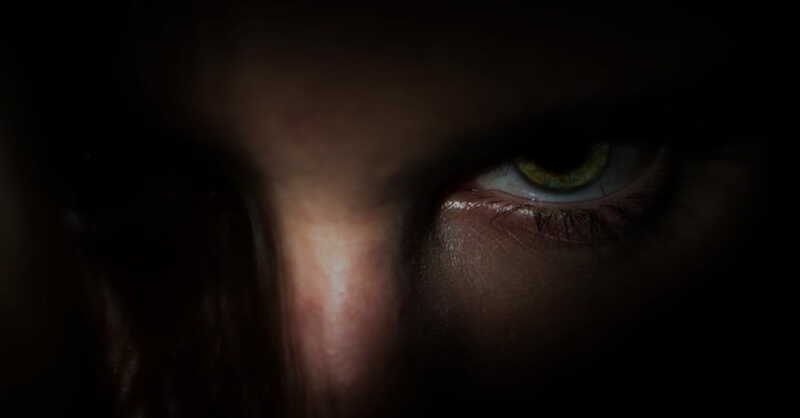 It’s where we get the word kleptomaniac, which means, someone who steals for the thrill of taking. When the enemy operates in our lives, he is stealing from us as well. We may not realize it as it’s happening, but eventually, we feel the sense of loss and see that what is rightfully ours has been taken from us. If we want to walk in daily victory, we must remember that the enemy comes into our lives as a thief. In John 10:10 it uses the word kill, but it doesn’t mean what you might assume. The word kill in the Greek is Thuo, which means to sacrifice. “God’s not coming through for you!” or “You are not going to experience it!” are the enemy’s smoke screens. When the enemy comes to kill, he’s hoping you will sacrifice everything God has given you. He tells you that you have waited too long, believed for too much, and seen nothing happen. You might as well throw in the towel. The crazy thing is, we believe his lies. The Devil may not have to steal very much from us—especially if we are already giving it away. (…To keep Satan from taking advantage of us; for we are not ignorant of his schemes” (2:11 amp). Paul points out, “We are not ignorant of his schemes.” I have often heard the phrase, “Ignorance is bliss,” which suggests that if I don’t know something, then life is more comfortable, relaxed, and peaceful for me. But ignorance is not a godly way of living. Being ignorant of the enemy’s schemes only leaves us vulnerable to his tactics. Being spiritually illiterate doesn’t mean the enemy will leave us alone. It means we are more likely to make critical mistakes due to a lack of full understanding. Ignorance will hurt us and leave us confused, dejected, and deceived. God did not call us to be spiritually blind; he called us to be spiritually alert. 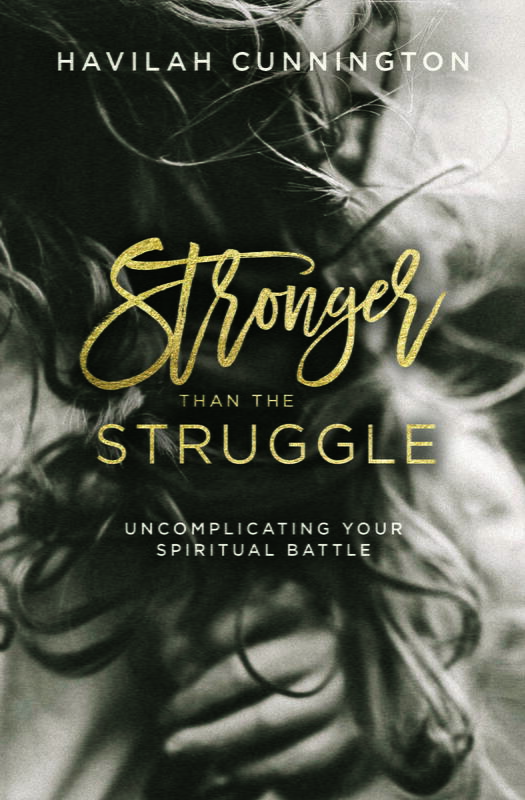 For more on Havilah and her latest book, Stronger Than the Struggle, visit her website, HavilahCunnington.com.